Hello Rachel, and welcome! You recently entered the Prima magazine/Mills and Boon writing competition – and you won! That’s quite an accomplishment – congratulations! How did that come about? Had you ever entered a writing contest before? Thank you! I have entered a fair few competitions before, yes, but never placed! I saw this one in my Prima magazine and instantly thought, right, let’s have a go! I worked on it, zipped it off and promptly forgot about it. I never expected to hear anything, so when I got an email to say I was in the final ten, I was amazed and still never thought it would go any further. When I heard I had won, I couldn’t believe it. 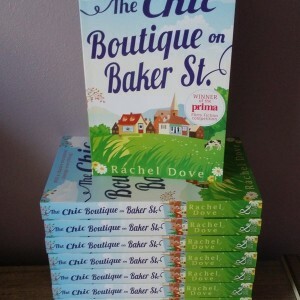 Tell us a bit about your winning entry, The Chic Boutique on Baker Street. What inspired you to write it? I was helping my husband out at work one day, and the businesses nearby were all on a shop front, and it gave me the idea of a row of shops, all in a little Yorkshire village. The female lead, Amanda was inspired by my days working in the legal sector, and it grew from there. I tend to be a pantser, so I quite often work the plot out in my head, till the puzzle pieces fit. I find a lot of my thought processes take place when I am doing other things – driving, having a shower, cleaning. When I get an idea, it goes in the notebook, and progresses from there. You’re also a family learning tutor in the areas of Early Years, Primary Education and Special Educational Needs. How do you manage to balance both loves, tutoring and writing? You must be very organized! I have now taken a year off and resigned from my job in order to write full time, and be at home more with my boys. They have had a tough year, and my youngest son is being assessed for autism, so juggling work was very stressful early last year. After talking things over with my husband, I was already winding down from working 4 days a week to one day, and when I heard that I had won the competition, that cemented things for me. I love teaching and will return to it when the kids were older, but I was very tired doing everything! Once I had the project of the book, it was much easier to let go of my job, for now. Writing will keep me sane this year. I like to be busy, but it’s better now as I can work from home and be there for school runs etc. I don’t miss all the marking and preparation, but I miss my lovely students. I love the subject area, and will return to it in some form down the line. Lots of people used to say ‘how do you do it?’ and I would shrug and say, ‘I just do!’ Now I look back, and I am actually amazed I managed! 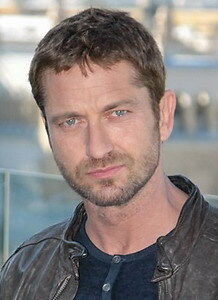 Aside from my husband and the boys, I have a very large family, who I love dearly. It’s easy when life gets busy, to neglect these relationships, but we seem to manage. I have some great friends too, and they are some of my biggest supporters. 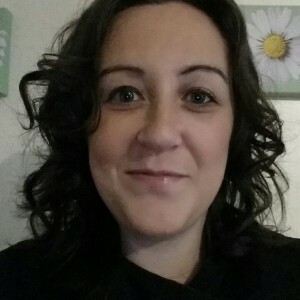 One of my friends is a working mum and a nurse, and she is amazing, and another is a web design genius and working mum too, and they just take life by the horns and give it a shake. They make life fun. If you could meet any writer, living or dead, who would it be? What three questions would you ask them? Wow, tricky! I would say any of the Brontë sisters, or Jane Austen, but I think I would be too overcome to even get a word out! I love Roald Dahl, so I would probably pick him. I would ask him what he thought of children’s books now, I would tell him how much his legacy lives on, and I would ask him more about his book, Boy. That book was read by me as a child so many times, I feel like I know it by heart. Such an amazing man, and his writing routine was so quirky! What are the best things about writing? The worst? The best things are typing ‘the end,’ seeing your book in print, seeing that acceptance letter. When you have a good writing day, and your characters sing on the page, it’s amazing. The worst is the rejections (I have a file of those too) and the blank page. When you sit down to write, and you can’t think of a word, or when you are halfway though your first draft, and you hate every word. Those are the low points, but it’s like anything else. Work hard for the things you want, keep trying, never give up, and have faith. Wine and coffee is made for bad days. Books are escapism. Do you create worlds that you wish you lived in? Oh yes, I would move to Westfield tomorrow. I have written horror shorts though too, so those worlds, not so much! I don’t really hide anything! When I am not writing or looking after the boys, I read – anything, family learning information, magazines, books. I live under a blanket in winter, fed by cups of coffee and tea and stacks of paperbacks. I relish the quiet life now, I think I have premature aging! I do have a thing for the YA genre at the moment, and the NA genre has some cracking reads too, but I always read Wuthering Heights at least once a year. 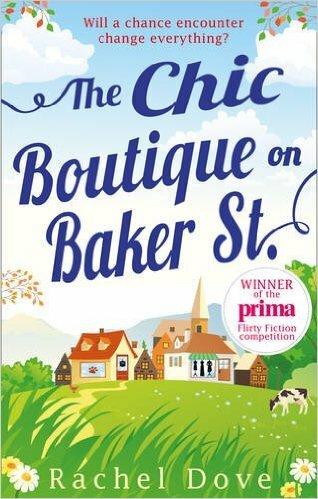 If The Chic Boutique on Baker Street became a film, who would you cast to play the characters? 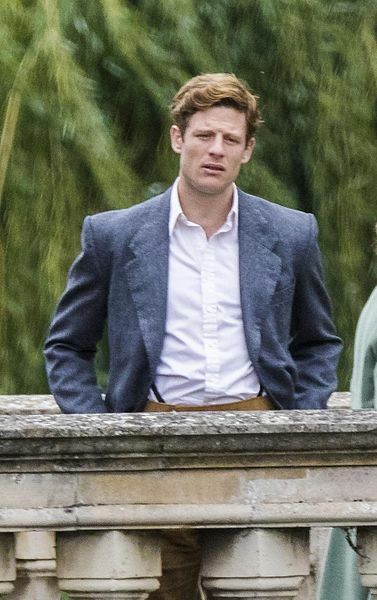 Gerard Butler always comes to mind (in pretty much every situation) but I think James Norton from Happy Valley would be a good fit for Ben, and Amanda would have to be Claire Cooper (Hollyoaks) – she is from Wakefield and is amazing. Agatha Mayweather would have to be Maggie Smith or Judi Dench. Who better to play the unforgettable Agatha than either of those two amazing women? What are your plans for your next writing project? Can we look forward to more books from Rachel Dove? I am currently writing a book that is different from Chic Boutique, and I have plans for more Westfield based books too. I have a lot of village characters with a lot more to say! I will definitely keep writing, I couldn’t ever imagine not. Thank you so much for stopping by and (no pressure, of course) we’re expecting great things from you in the future! Rachel is a writer, wife, and stay at home mum of two boys. She is currently studying and working from home learning to be an adult tutor and author. She adores reading and writing and anything to do with education and books, and would love to be a children’s picture book author too. She also loves wine, chocolate and cosy nights in front of the fire with her head in another world. 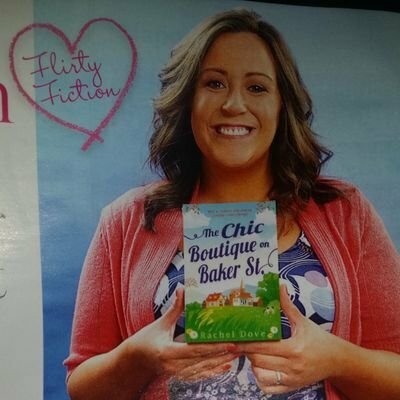 This entry was posted in British Chick Lit, chick lit, Mills and Boon, Romance, Writing and tagged British Chick Lit, chick lit, Katie Oliver, Mills and Boon, Prima Magazine, Romance, Writing on March 29, 2016 by Katieoliver.